I am here to recognise the achievement of the Society of African Missions in launching the Laudato Tree project today – a symbol of the shared recognition of the global challenge of climate change by Ireland and the African Union. The Minister for Communications, Climate Action and Environment, Denis Naughten, TD, today gave further details of his support for the Great Green Wall initiative and applauded the efforts of the Society of African Missions at the launch of their Laudato Tree project. I am here to recognise the achievement of the Society of African Missions in launching the Laudato Tree project today – a symbol of the shared recognition of the global challenge of climate change by Ireland and the African Union. Laudato Tree will increase Irish biodiversity and contribute to our own climate mitigation efforts, while also raising Irish awareness of and support for the wider Great Green Wall initiative. The awe-inspiring concept of the Great Green Wall, a band of 8,000km of green and productive landscapes, which will halt the southward spread of the Sahara Desert, is one I have been keen to support. At the launch in Roscommon Town of the ‘Laudato Tree – Great Green Wall Project’ By Minister for Communications, Climate Action and Environment Mr. Denis Naughton TD, 3rd from left. Also in the picture l to r are, Joe McConville. President The Tree Council, Fr. Maurice Henry, SMA and Ivan Connaughton, Chair Roscommon County Council. The Event was organised by The Tree Council of Ireland and SMA. Last month I met the Executive Secretary to the UNCCD in New York, where I conveyed Ireland’s support to their important work in progressing the Great Green Wall initiative. I announced funding of up to €1.2 million to provide a solid foundation for the further development of this initiative within the UNCCD, to take this great concept and put a roadmap on it, towards delivering the project by 2030. I am personally so attracted to the Great Green Wall initiative because of the global challenge we have in relation to climate migration. In its recent Groundswell report, the World Bank stated that 140 million people could be forced to become migrants because of climate change by 2050. We are seeing this on a micro scale here in Ireland where families who have lived for generations in their homes have been forced to move due to flooding. The Great Green Wall initiative is not just about building a wall of greenery to hold back the desert; but also about providing opportunities and bringing economic development to communities along the route, giving people a future in their own home place and chance to contribute to their own economy. The Minister advised that, while the details of this support were being ironed out between his Department and the UNCCD, the overall objective, of enabling a step change in progress to enable the completion of the Great Green Wall by 2030 was one both organisations were fully behind. The UNCCD fully agrees with my assessment of the need to give strategic support to the key projects of the Great Green Wall initiative if we are to comply with their ambitious timeframe. 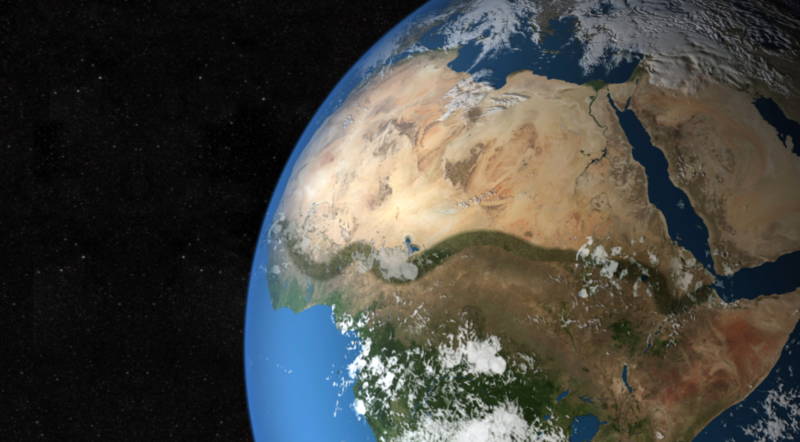 Targeted support by Ireland and the UNCCD will enable the galvanising of the diverse skillsets and efforts of the African Union, the thirteen countries of the Great Green Wall, and the local, regional, national and international stakeholders and funders. The UN Convention to Combat Desertification (UNCCD) came into force in 1994 having been adopted at the United Nations Conference on Environment and Development in Rio de Janerio in 1992 at the same time as the UN Framework Convention on Climate Change. The Convention is the sole legally binding international agreement linking environment and development to sustainable land management. The Convention addresses specifically the arid, semi-arid and dry sub-humid areas, known as the drylands, where some of the most vulnerable ecosystems and peoples can be found. The Convention’s 196 parties work together to improve the living conditions for people in drylands, to maintain and restore land and soil productivity, and to mitigate the effects of drought. The UNCCD is particularly committed to a bottom-up approach, encouraging the participation of local people in combating desertification and land degradation. The UNCCD secretariat facilitates cooperation between developed and developing countries, particularly around knowledge and technology transfer for sustainable land management. 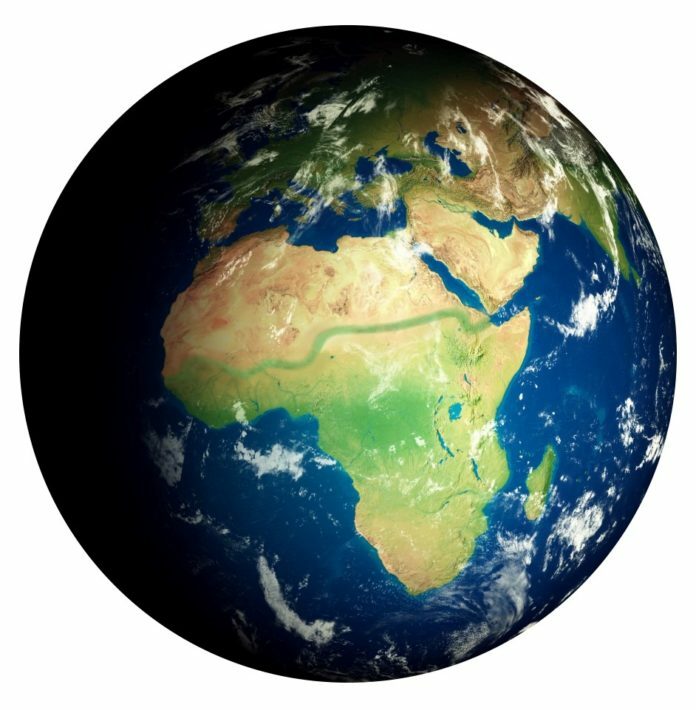 The Great Green Wall Initiative was launched in 2007 by the African Union, with support from the secretariat to the UNCCD and the UN Sustainable Development Goals Action Campaign. It aims to create 8,000 km of productive landscapes by supporting efforts from local communities to sustainably manage forests, rangelands and other natural resources in dry lands. Since its launch, the initiative has evolved into a more holistic programme of development targeting sustainable livelihoods, job creation and climate resilience in the countries concerned. President Michael D. Higgins inaugurated the Laudato Tree project in March 2018 on behalf of the Society of African Missions (SMA) in the presence of its two primary partners, the UNCCD and the Tree Council of Ireland. 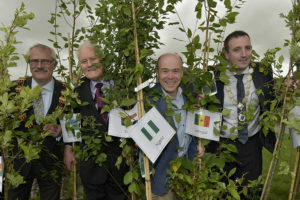 The Laudato Tree and Great Green Wall Project was formally launched in Roscommon on 8 August 2018 and aims to contribute to the Great Green Wall initiative by linking the planting of trees in Ireland with increasing support for the planting of trees along the Sahel region of Africa.